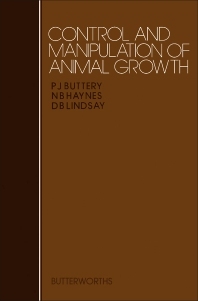 Control and Manipulation of Animal Growth explores the development and growth of animals. The reproductive system of animals is also discussed, along with how its development can be accelerated. The topic is presented using various studies by the authors together with a number of references to other books and studies. This book contains 20 chapters and revolves around the advancement of an animal's growth hormone. It explains how gender plays a part in an animal's development and talks about factors that can affect the process, such as environment, temperature, and food intake. This book also discusses bone growth, fetal growth, metabolism, factors of epidermal growth, growth manipulation, growth hormones, hormonal manipulation, and the effect of insulin. This text covers a wide range of facts and investigations and can therefore serve as an excellent reference for people who want to study an animal's internal and external development.